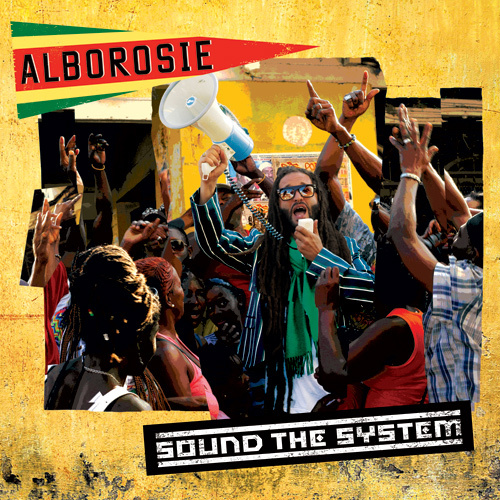 Italian born reggae singer Alborosie recently released his latest single from his upcoming Sound The System LP. The track “Play Fool (To Catch Wise)” is the first song off the 16-track project and is sung atop a very familiar sounding Black Uhuru track “Guess Who’s Coming To Dinner”. This new album has a few guest appearances including Ky-mani Marley, The Abyssinians, Kemar and Italian singer Nina Zilli. When Alborosie stepped on the international stage back in 2006 no one knew what to expect as he was the first Italian-born reggae artiste to garner such global recognition. Thus far he has appeared on countless reggae singles and has managed to release an album each year since his first album Soul Pirate dropped back in 2008. Sound The System will be his fourth studio album and is reported to be available for digital download on June 17, 2013 although the official release date is set for July 1, 2013. Before you go, step inside and take a look at Alborosie skillfully mixing a dub at Shengen studios. Di man well skill!